The National Convention Centre Canberra has defied the global financial crisis, turning over a record-breaking $8 million in revenue in 2009. 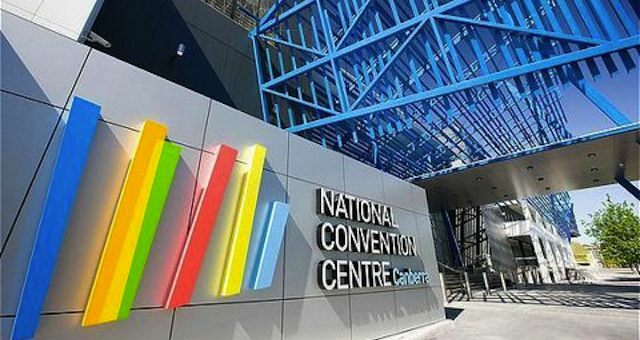 The National Convention Centre Canberra (NCC) has defied the global financial crisis, turning over a record-breaking $8 million in revenue in 2009. The NCC welcomed nearly 117,000 visitors to a total of 269 conferences and events in 2009, injecting about $113 million into the local economy. “In a year where many conference and events venues in Australia experienced a downturn in business, Canberra’s largest business events facility bucked the trend, posting its best ever result,” Minister for Tourism, Sport and Recreation Andrew Barr said. Barr said the solid result achieved by the NCC is a good sign for the future of the ACT’s tourism industry and the 13,000 Canberrans it employs. “The ACT Labor Government invested $30 million in refurbishing the Convention Centre, because we understand how lucrative the business tourism sector is, and how important it is to our tourism industry,” he said. “The result shows the NCC’s is one of Australia’s leading purpose-built venues. It also shows the Canberra Convention Bureau is helping to ensure that Canberra is seen as the nation’s business tourism capital. “I congratulate the NCC and the Bureau on their success in such a difficult year. The NCC is a great supporter of the jobs of Canberrans in the tourism industry,” Barr said. Among the major events held at the NCC this year were the three-day CPA Congress which drew more than 1,000 delegates, a record number. The NCC also hosted two sell-out Midnight Oil concerts, attracting fans from around Australia and overseas for the band’s only full concert performances since 2002. Other key events included the Revival Fellowship convention held across the June long weekend for more than 1,000 delegates from Asia and the South Pacific; the 700-delegate MDBC River Health Conference; and the ADFA graduation dinner for more than 1,400 guests.